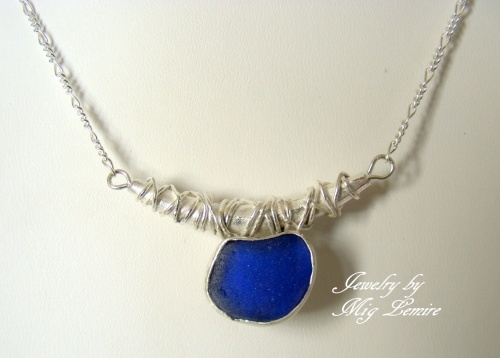 This pretty piece of authentic cobalt seaglass hangs from a silver tube which has been accented by wrapped wire. Sterling silver chain. One of a kind.